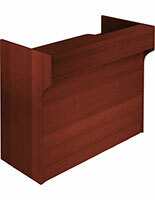 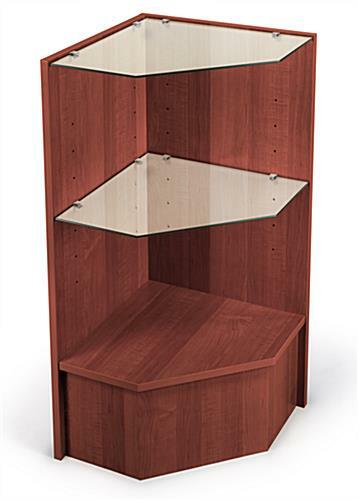 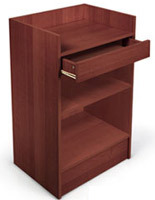 This cherry corner shelving features adjustable tempered glass shelves for accommodating a number of wares. 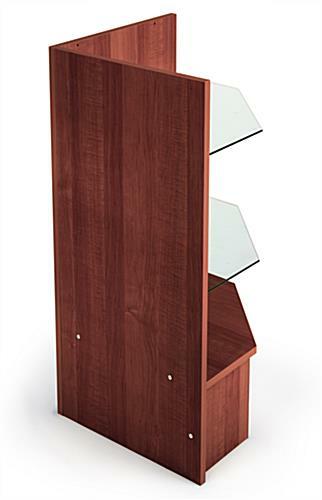 The floor standing store fixture can be used to display toys, jewelry, books and sports memorabilia. 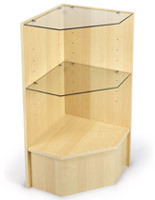 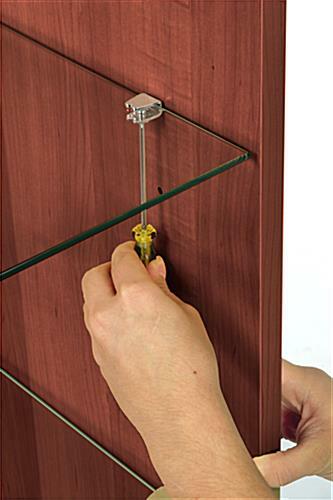 The corner shelving is shipped unassembled to save on shipping costs but can easily be set up by one person. 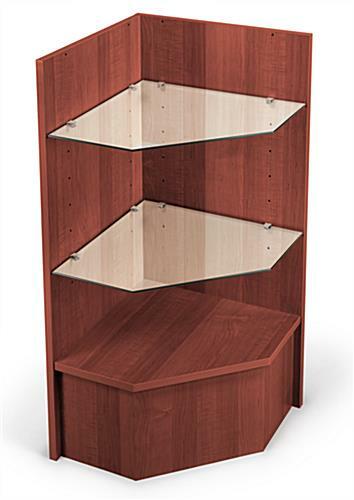 The cabinet's frame is made of strong melamine and features an attractive wood grain finish that will complement any environment. 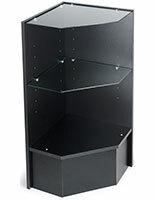 The adjustable floor shelving measures 38" tall and can be placed alone or it can connect other display cases together. 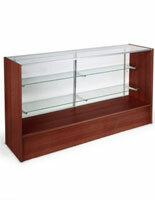 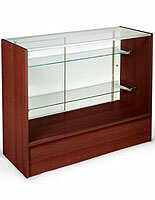 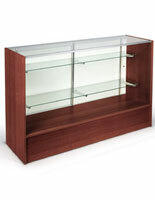 The store fixtures with (2) tempered glass shelves are also available in black, white and maple.